We are your premier quilt shop in the Four Corners area. Our friendly, knowledgeable staff is here to help you with all your quilting and sewing needs and wants. We have a wide selection of Southwestern fabric and patterns. We offer a wide array of classes every week. We’re an authorized BERNINA dealer and service all brands of sewing machines. 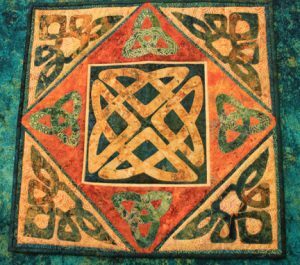 Cortez Quilt Company and More is participating in the Stonehenge Block Party! Above, you see our 18″ square block. Please call us at 970-565-7541 to order yours… we are happy to ship one to you! 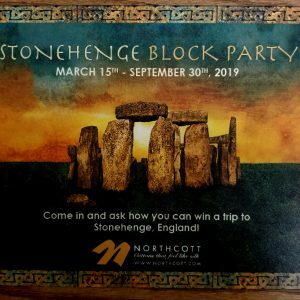 Not sure what the Stonehenge Block Party is all about? Feel free to call us, or check out Northcott’s website here. You could win a trip to England – Don’t miss out on this opportunity! Please Ask How Our Club Pass Works! We now have a limited number of embroidery machine’s available for class! Call ahead to reserve a machine! Learn to use the BERNINA embroidery machine’s free-arm, which provides you with more space when embroidering projects that are not flat. It makes it easier to create great looking embroidery even on a project with “shape” and can be used with several hoop sizes. Students can embroider either a t-shirt or a onesie for this class. 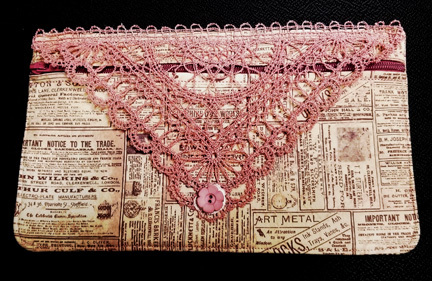 Freestanding lace creates dimensional detail that is both fashionable and pretty in this project. Please call ahead so we can tell you where to purchase the design and what supplies are needed. Join us at the shop every Monday and Wednesday from 9:00 a.m. until 5:00 p.m. for Open Sewing. 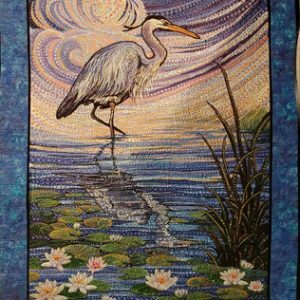 Work on any project you’d like and enjoy the company of other sewists and quilters. Bring your sewing machine or use one of our BERNINA classroom machines. Open Sewing is FREE and you’ll have plenty of space to work and the use of our cutting tables and ironing boards. You can also call us to check on availability – our classroom is available for your use anytime a class/event is not being held. Join us on March 21 at 12:30 p.m. for our monthly Third Thursday Demo. This event lasts thirty minutes – feel free to bring your lunch if you are on your break. We always have door prizes at our Third Thursday Demo’s! Bring a friend!